Australian Adventure Down Under, a tour package of 11 nights and 12 days, offers you a chance to explore the spectacular island of Australia. During this well-planned itinerary by Indian Holiday, you can partake in a number of activities like exploring wildlife, nature, beaches, theme parks, cruises, islands, reef, rainforest, tourist attractions and more. You are going to immerse yourself into sightseeing, spot visiting, shopping, relaxing and doing much more. Get ready for an amazing memorable tour of Australia- ‘The Land Down Under’. Board your overnight flight to Brisbane. Once you arrive in Brisbane airport, meet our tour representative who helps you with an assisted transfer to your pre-booked hotel. Complete the check-in formalities and spend the morning, relaxing in your room. Later, have lunch and pack your bags to proceed to the adventure land of the Gold Coast. 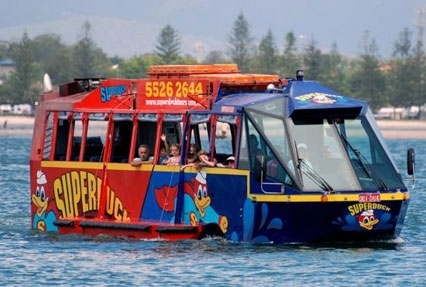 Embark on the amazing Adventure Duck ride, which is rightly the best to explore the Gold Coast. Post an early dinner, attend the popular entertainment show in the theatre at Jupiters. Here, enjoy the amazing live stage show filled with amazing music, sights, sounds and colors. Overnight in Gold Coast. On Day 3, after breakfast at the hotel, spend a fun-filled morning at the theme park – Sea World. Get close to the exotic marine life. Enjoy interesting rides, admire the whole peppy atmosphere, attend the lively shows and attend the new adventure crime show– Fish detectives. One of the major highlights is a new interactive Dolphin Show. You can indulge in adventure activities at the beaches of the Gold Coast. Do not miss the helicopter ride to have a great view of the surroundings. Next in line is a visit to the attraction of the Sea World – the Polar Bear shores. Post lunch, proceed to Warner Brothers ‘Movie World’ to meet your popular stars, enjoy behind-the scene action or comedy stunt. Enjoy rides like the Lethal Weapon and adventure shows like the new Superman Escape. The Day is going to be absolutely action-packed. Enjoy a visit to the ‘Looner Village’, related to Looney tunes characters in ‘Looney Village’. After dinner, night stay in Gold Coast. On Day 4, after breakfast at the hotel, you have options to choose from- you can either explore Gold Cost on your own or visit the Dreamworld. 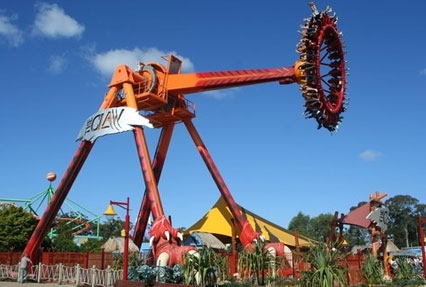 Have a fun-filled time at Dreamworld, enjoying thrilling rides, shows and various animal attractions. Feel the adrenaline levels rush high-up while riding rides like the Giant Drop, Tower of Terror, Wipe out, the Cyclone roller coaster and The Claw and many more. Thereafter, you can visit the popular Sky Point observatory deck, which takes you to the highest point above the Gold Coast on top of Q1 from where you can have a spectacular view of the surroundings. Overnight in Gold Coast. After having breakfast at the hotel, get transferred to the airport to board a flight to Cairns. On arrival, complete the check-in formalities at the hotel and have lunch. Later, continue your journey to Kuranda – a World Heritage Rainforest. Later, embark on the Skyrail journey – the well-known rainforest cable car ride. During the ride, enjoy a great view of the tropical region and the clear waters of the Coral Sea. Do not miss attending the famous Tjapukai Show. Thereafter, back to Cairns. You can either relax in the comfort of your hotel or can shop at the ‘Cairns Night Market’. After dinner, retire in the comforts of your room for an overnight stay. On Day 6, you have options to choose from- either you can opt for hot air ballooning or after an early breakfast, you can leave to go aboard a luxury cruise that offers you a chance to explore the underwater world of the Great Barrier Reef. It takes you a reef that is at the very edge of the Australia’s Continental shelf so that you can explore the mesmerizing colors in the deep sea. You can in water sports like swimming, snorkeling and diving. Visit the underwater observatory or you can simply enjoy the view from the air-conditioned semi-submersible. Have a sumptuous lunch on- board. Back on the shore. Dinner and overnight stay. After having breakfast on the 7th Day of the tour, get an assisted transfer to the airport to board a flight to Melbourne. On arrival, check-in at the hotel and have lunch. Later, proceed for exploring the popular tourist attractions of Melbourne. The list of attractions includes the Royal Botanical Gardens, Town Hall, Bourke Street Mall, St. Patrick’s Cathedral, National Tennis Centre- the 1956 Olympic venue and the Shrine of Remembrance. Another highlight of the Day is exploring some beautiful restored Victorian houses. Do not miss a visit to the amazing Melbourne Cricket Ground – a great asset for Australia. Have dinner. Overnight in Melbourne. Once you have your breakfast at the hotel, spend the morning at leisure. After lunch, get transferred by coach to Philip Island – a beautiful island, great heritage and wildlife in abundance. Every night, the Little Penguins, the smallest penguins in the world, emerge from the sea and wobble on the shore to their sand dune burrows. A great experience, surely! Thereafter, visit the Koala Centre, to see koalas from close quarters. Post dinner, night stay in Melbourne. Post breakfast; spend the entire Day on the Great Ocean Road, an Australian National Heritage. Enjoy the amazing sights, the golden surf beaches, the spectacular cliff and trees of Eucalyptus. Lunch, followed by a drive along the entire coastline of Port Campbell National Park. On the way, you can click the pictures of the marvelous rock formation, the ‘Twelve Apostles’ – huge stone pillars rising-up from the surf, and the Loch Ard Gorge. Post dinner, sight stay in Melbourne. After breakfast, the morning of Day 9 is free. Later, get an assisted transfer to the airport to catch a flight to Sydney. Arrive at the Harbour City, complete the check-in formalities at your hotel and have lunch. Get ready for an action-oriented Day. Spend the afternoon either relaxing or exploring the nearby locations on-foot. 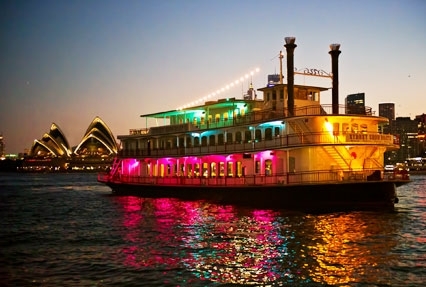 At night, get aboard the amazing Showboat dinner cruise. While cruising along the Sydney Harbor, admire the amazing scenery of the bright lights of the city, the well-known Harbour Bridge and the Opera House. Relish a three – course Indian dinner. After dinner, enjoy a breathtaking theatre cabaret performed by professional Australian showgirls accompanied by a charming songstress. Overnight in a hotel in Sydney. The 10th Day of the tour is for exploring the prime attractions of Sydney. After dinner, leave for exploring the city. The Day is going to include visits to the Darling Harbour, a popular waterfront destinations in the world where you can indulge in a number of activities, CBD area, Mrs. Macquarries Chair, Hyde Park, the Harbour Bridge, the Eastern suburbs – an area where the rich of the city reside and the world -famous Bondi beach. Embark on a guided tour of one the Sydney Opera House – a magnificent landmark of the world. 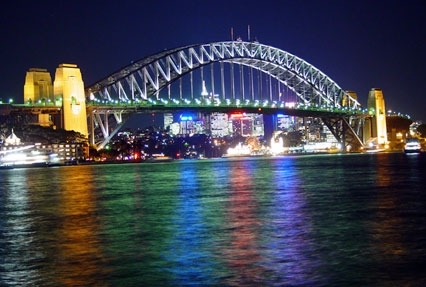 After lunch, proceed to the popular Sydney Aquarium and then to the Sydney Tower- the tallest free-standing structure. Go up to the observatory deck to have a 360 degree aerial view of the Harbour City. Do not miss visiting the world-renowned Madame Tussauds Wax Museum. Here you can admire life-size wax statues of famous personalities from sports, music, politics, glamour world and more. You can get yourself clicked with your famous celebrity. Later, visit the Wildlife World. You can take a walk here and encounter the popular animals of Australia. After dinner, have a good night’s sleep in a hotel in Sydney. After breakfast at the hotel, the Day is free for leisure activities. You can explore the surroundings at your own pace. You can visit good restaurants, gardens, museums, art galleries, dazzling beaches, markets and more. You can indulge in shopping at the classic Queen Victoria building or explore the beautiful Blue Mountains. Dinner and overnight in Sydney. Once you have your breakfast on the last Day of the tour, get on-time transfer to the airport to board a flight for your onward journey.